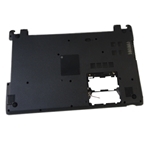 Description: New genuine Acer laptop lower bottom case with speakers. There are more than 1 lower case for the models listed below. Please make sure that you are ordering the correct one. This lower case supports a 9.5mm hard drive. Acer Aspire V5-531, V5-531P, V5-571, V5-571G, V5-571P, V5-571PG.